The weather in Phuket continues hot and sunny, high season is here, streets and beaches suddenly busy, dive boats have full trips, everyone's smiling. The change was really noticeable to me at the weekend. The "real" high season starts after November 15th when charter flights start and the families and old folks start appearing. Mind you, here in Karon Beach there is a big mixture - there are cheap guesthouses, smaller family run hotels and big resorts so we see all kinds of tourists. 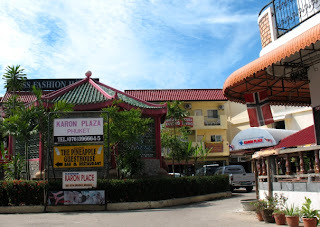 Within 5 minutes walk of Karon Plaza you can find rooms from 300 Baht up to 300 dollars and more per night.